I’m blogging about this piece in the Times for others and so that I can go back and follow up on all the books mentioned. It’s a collection of works from this past year on the subject of cities and how we live in them. Also, of note, from last year, was David Byrne’s Bicycle Diaries, in which the author/musician muses on various cities as he tours them by bike. Thirteen/WNET just posted an interview with me about Coney Island. 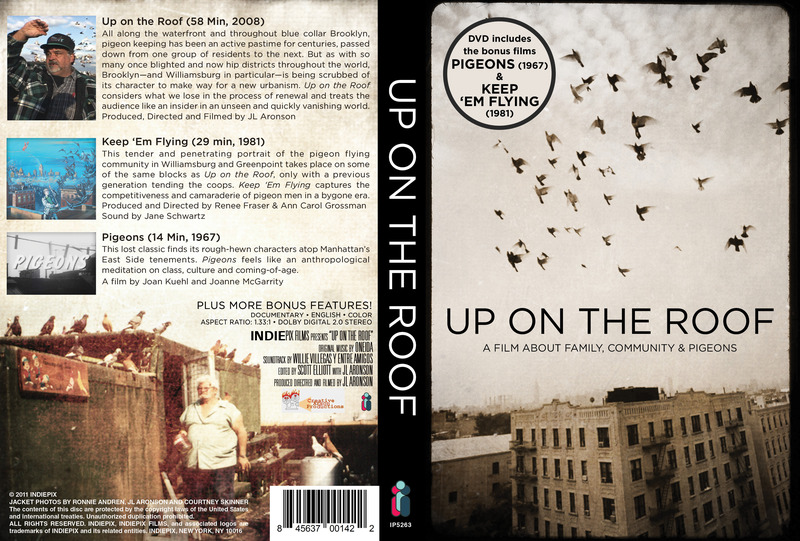 Up on the Roof, my documentary about pigeons above and changes below, will premiere July 7th at 1pm on WNET/Thirteen. If anyone in the tri-state area has yet to see this film (and frankly, that’s most people), this will be their chance. Thirteen is one of the best programmed and highly regarded PBS stations in the country and I’m proud that they’re following up the successful broadcasts of “Last Summer” with this movie. And because they’re currently running encore broadcasts of Last Summer at Coney Island on both Thirteen and the sister station, WLIW/21, both films will be running concurrently. Up on the Roof will likely have other air dates, too, but I probably won’t find out about them before they happen. So check your local listings or heck, just go to the website and order your own copy on DVD! Bonus features include two historic films about New York pigeon keeping from past decades.